Amie was bitten by the “theatre bug” at the age of 12, in middle school and has been an active member of the arts community (visual and performing arts) all her life. After earning her BFA in sculpture from Grand Valley State University, Amie began volunteering anywhere she could in the Grand Rapids community: backstage on crew, in the scenic, props, and costume shops, and finally – she was asked to stage manage under keen mentorship on her first show A Year with Frog and Toad at Grand Rapids Civic Theatre in 2005. Since then, she has gone on to stage manage a variety of productions and special events on a community, academic, and professional level. Currently, Amie works as a freelance professional stage manager and teaches stage management. Regional Stage Management: Alabama Shakespeare Festival, Denver Center Theatre Company, Hudson Valley Shakespeare Festival, Crossroads Theatre Company (stage manager and Associate Producer from 2012-16), Mason Street Warehouse, Mirror Repertory Company, Miss Spirit of the State (Miss America Organization), Grand Rapids Civic Theatre, Circle Theatre GR. Television: PBS Kids Sprout’s Noodle and Doodle and Nikkole Salter’s Repairing A Nation for WNET THIRTEEN’s Theater Close-Up. 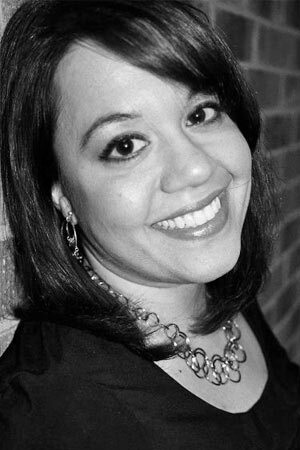 Amie holds her MFA in stage management from Rutgers University. Teaching credits include work with Grand Rapids Civic Theatre, Grand Valley State University, Cornerstone University, and Rutgers University. Amie’s favorite part of teaching is the students: the questions, curiosity, and growth are inspiring and heart warming, and Amie is happy to be a part of the discovery of theatrical arts for aspiring young theatre lovers. I find inspiration in sharing stories and ideas. I am constantly experiencing and reflecting on what I see around me, and how I can make something my own: whether it is how I do something, how I create something, how I function in the world around me. Atticus Finch from “To Kill A Mockingbird.” A man of true integrity. Our world (past, present, future) need more men like Atticus Finch.